What Does In Vivo and In Vitro Mean? If you have been reading medical studies, you've probably seen that some are "in vivo' and some are "in vitro." What are the definitions and differences of these terms, and why are they important for understanding medical research? The term in vivo refers to a medical test, experiment or procedure that is done on (or in) a living organism, such as a laboratory animal or human. The term in vitro, in contrast to in vivo, refers to a medical study or experiment which is done in the laboratory within the confines of a test tube or laboratory dish. While there are similarities between in vivo and in vitro studies, and they are both important to understand the human body, there are many important differences in how these studies are conducted, how they can be interpreted, and the practical applications of any discoveries which are made. 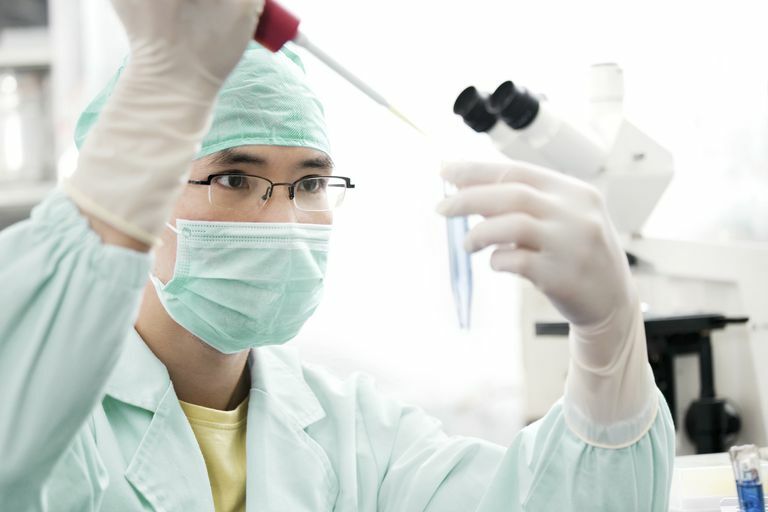 Medical studies (such as looking at the ability of a drug to treat cancer) are often first performed in vitro—either in a test tube or laboratory dish. An example would be growing cancer cells in a dish outside of the body. This can be done by using a number of different mediums which allow researchers to grow these cells independent of the body. Studies are usually done in vitro first for ethical reasons. In vitro studies allow a substance to be studied safely, as human beings or animals are not subjected to the possible side effects or toxicity of a new drug. This allows researchers to learn as much as possible about a drug before exposing humans to these potential effects. If a chemotherapy drug, for example, does not work on cancer cells grown in a dish, it would be unethical to have humans use the drug and risk the potential toxicity. In vitro studies are important in that they allow more rapid development of new treatments—many drugs can be studied at one time (and they can be studied in a large number of samples of cells) and only those that appear to be efficacious go on to human studies. An absence of biokinetics, in medical terminology, is one of the significant drawbacks of in vitro studies. A lack of biokinetics, as well as severeal other factors, can make it very difficult to extrapolate the results to what might be expected when the drug is used in vivo. In contrast to in vitro studies, in vivo studies are needed to see how the body as a whole will respond to a particular substance. In some cases in vitro studies of a drug will be promising, but subsequent in vivo studies fail to show any efficacy (or, on the other hand, find a drug to be unsafe) when used within the multiple metabolic processes that are continually taking place in the body. An example of how in vivo studies are needed to evaluate drugs is with respect to drug absorption in the body. A new drug may appear to work in a dish, but not in the human body. It could be that the drug is not absorbed when it passes through the stomach, so it has little effects on humans. In other cases, for example even if a drug is given intravenously, it could be that a drug is broken down by the body through any number of reactions that occur continuously, and therefore, the drug would not be effective when used directly in humans. It's important to note that often times in vivo studies are first done in non-human animals such as mice. These studies allow researchers an opportunity to see how a drug works amid other bodily processes. Yet mice and humans have important differences. Sometimes a drug that is effective in mice will not be effective in humans (and vice versa) due to inherent differences in the species. When you look at studies done to evaluate cancer treatments—or any other treatments—checking to see which kind of study it is (in vivo vs in vitro) is an important first step. In vitro studies are extremely important and lay the groundwork for further research, but many of these studies declare findings that are interesting—but will not affect you as an individual for quite some time to come. In contrast, in vivo studies are looking at the actual effect on an organism—whether a laboratory animal or a human. It may be some time—if the study is an animal study—until the drug or procedure is evaluated in humans, but it is a step closer to being used in real life. Examples: New chemotherapy drugs for lung cancer are usually studied in vitro before they are studied in vivo in clinical trials on humans. Killkenny, C. et al. Animal research: Reporting in vivo experiments: The ARRIVE guidelines. British Journal of Pharmacology. 2010. 160(7):1577-179. Saeidnia, S., Manayi, A., and M. Abdollahi. From In Vitro Experiments and Clinical Studies; Pros and Cons. Current Drug Discovery Technologies. 2015. 12(4):218-24. What Causes Pain Between the Shoulder Blades? What are Experimental Drugs and How are They Tested? What is the Purpose of Clinical Trials? How Can You Find Credible Cancer Information Online?